Summary from Goodreads: I killed a girl last night. I did it with my bare hands and an old piece of pipe I found lying next to the dumpster. But that’s not the part that got me. The part that scared me, the part I can’t seem to wrap my head around and still has me reeling, was that when she charged me, her body shifted – and then she was a wolf. All snapping teeth and extended claws. But by the time I stood over her lifeless body, she was a girl again. That’s about the time I went into shock… And that was the moment he showed up. 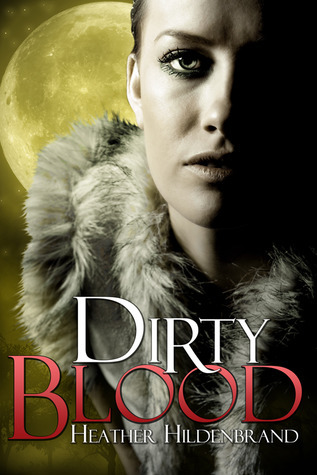 The Review: Dirty Blood was an enjoyable read for me. Heather captured my interest from the beginning and I found that I looked forward to my "reading time" each day. The reader is pulled into the supernatural world rather quickly and I liked that. 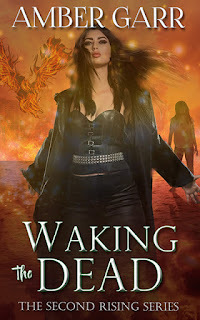 Tara learns more than she bargained for when she has a run-in with an angry wolf and her whole world quickly changes. She meets Wes, learns the truth about her heritage, and is forced into a hidden world all in the matter of a couple of weeks. Tara is a strong character that readily accepts her new fate and I'm looking forward to see what will happen with her. Let's talk about Wes...I liked him. I think Heather did a nice job expressing his internal struggles to obey his orders or help Tara understand. That being said, I didn't fully believe the connection between Tara and Wes. It started out exciting and good, but then very quickly turned to "I love you" and "I love you too" that I just didn't believe. And then there were the talking wolves. I am a huge fan of fantasy (of all kinds) and enjoy reading books that challenge me to ignore the rules of reality...but I got stuck on the wolf-speaking-like-a-human thing. As creative and fun as the rest of the book was, I guess I'd hoped for more. However, the overarching plotline was well developed and set the stage for the series. Despite my hang-ups, Dirty Blood was a fun read and I'm excited to see how the series progresses. The Good: I really liked the title. Oh, and the werewolves. I love them and it was nice to read a book revolving around that species. The Issue: Three major things for me: 1) the wolves spoke like a human when in wolf form; 2) insta-love that I didn't feel fully invested in; and 3) a little Twilight-ish with the mind reading and the "protecting the virtue" type story lines. The Rating: 4 conch. Looking past the talking wolves, it was a story that kept me reading and had me purchasing the second book right away.